Add this gorgeous city that exemplifies true Southern hospitality to your dorm room decor. 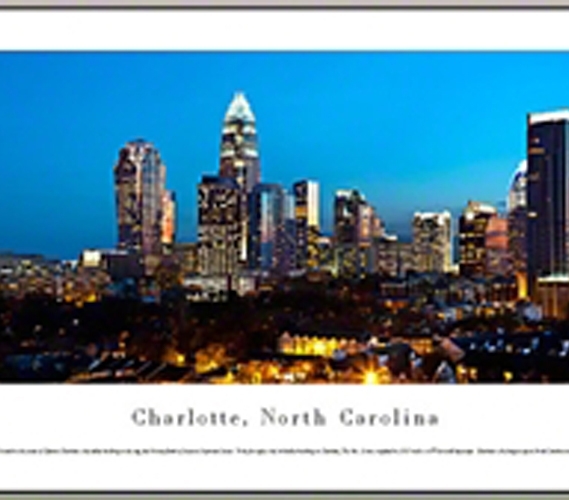 As a key city of the Carolinas, you can display this stunning city view with the Charlotte, North Carolina - Lights Panorama. College wall decor should be on your dorm supplies shopping list. If not, that dorm won't feel at all like your dorm room. Wall decorations like panoramas are cheap dorm items, and panoramas are truly unique dorm items. Give some variety to your dorm supplies and make those dorm walls as beautiful as they can be. 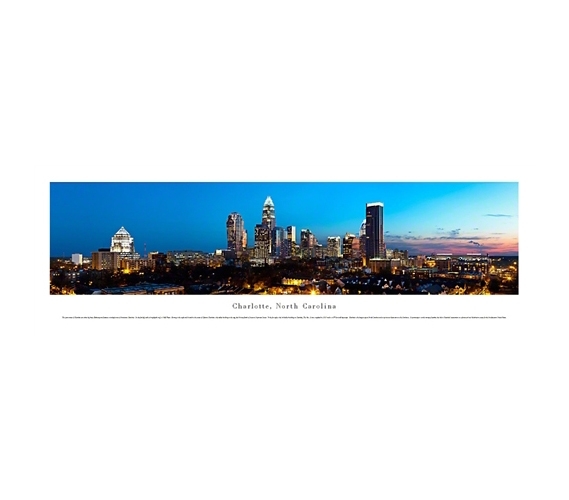 This panorama of Charlotte was taken by James Blakeway and features a twilight view of downtown Charlotte. On the far left, with its brightly-lit roof, is Odell Plaza. Moving to the right and located in the center of Uptown Charlotte is the tallest building in the city, the 60-story Bank of America Corporate Center. To the far right is the 3rd tallest building in Charlotte, The Vue. It was completed in 2010 and is a 677-foot tall skyscraper. Charlotte is the largest city in North Carolina and a top tourist destination in the Carolinas. Its proximity to a wide variety of markets has led to Charlotte's maturation as a financial and distribution center for the Southeastern United States.